LA JOLLA–An insect lands on your arm, moving the tiny hairs on your skin just enough to make you want to scratch. Salk Institute researchers have uncovered evidence of a dedicated neural pathway that transmits the itchy feeling triggered by such a light touch. Surprisingly, the spinal neurons involved in the tingling sensation caused by a light touch are different from those transmitting pain or a ‘chemical’ itch, the latter elicited by a mosquito bite or a skin wound that is healing. Appearing October 30, 2015 in the journal Science, the new results lend insights into potential mechanisms of chronic itch, which is caused by a variety of conditions such as eczema, diabetic neuropathy, multiple sclerosis and certain types of cancers. It may also help explain why some people affected by itch are unresponsive to commonly used antihistamine drugs. 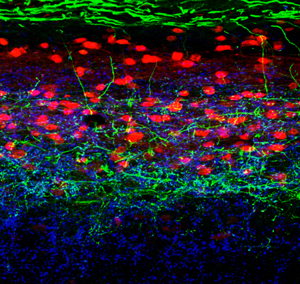 A cross-section of a mouse dorsal spinal cord shows the close relationship between inhibitory interneurons expressing NPY (red), with touch sensory neurons arising from the hairy skin (green). “This is the first study that reveals the presence of a dedicated neural pathway for this particular sensation in the spinal cord,” says co-senior author and Salk Professor Martyn Goulding. Overactivation of this pathway, which most likely evolved to detect the presence of disease-bearing insects on the skin, results in increased scratching akin to that seen in patients who develop chronic itch. The spinal cord contains a variety of neurons called interneurons or “middlemen” that process and relay sensory information from the body including the skin. 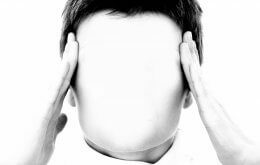 The team found that some of these “middlemen” express a small protein called neuropeptide Y, or NPY for short. This neurotransmitter is present throughout the brain and has several functions, but until now, no one knew what NPY neurons did in the spinal cord. In the new study, Goulding’s team, working with researchers at the Dana-Farber Cancer Institute, selectively eliminated the NPY neurons in the spinal cord of adult mice. Within a week, of removing those inhibitory interneurons from the spinal cord, the mice showed excessive scratching in response to light touch without any effect on their response to chemically-induced itch or pain. “This was one of the most surprising things we found,” says co-lead author Steeve Bourane, a Salk research scientist in Goulding’s lab. 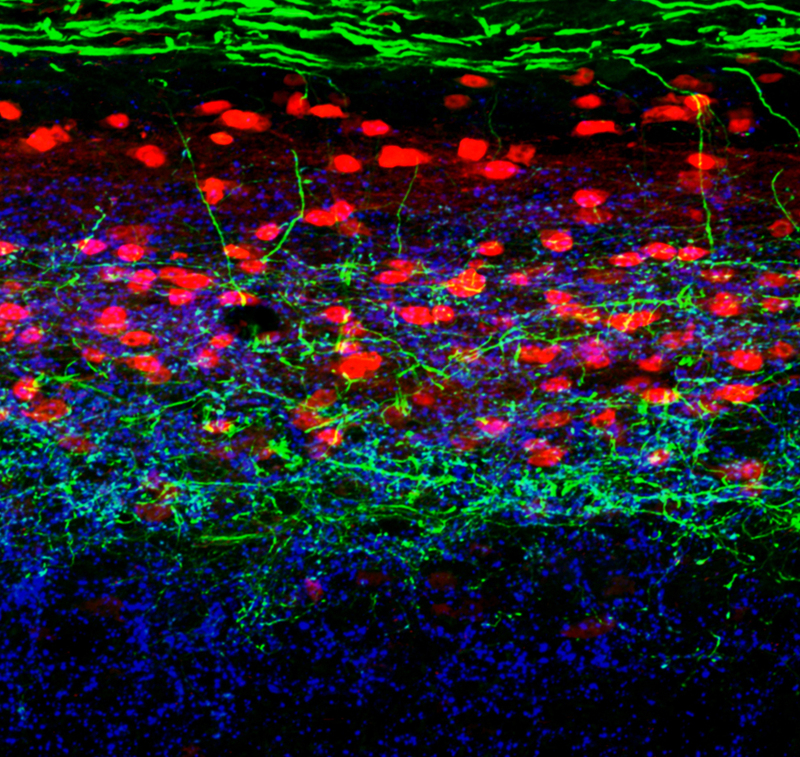 The group saw similar behaviors when they used a chemical genetic strategy to silence the NPY expressing interneurons that prevents them from communicating with the presumptive neurons that transmit this form of itch. The fact that the NPY-deficient mice were no more sensitive than controls to more forceful forms of touch and painful stimuli, or even to chemicals that evoke itchiness, suggests light touch uses its own pathway in the nervous system to evoke scratching. Interestingly, by recording the electrical activity in the spinal cords of mice depleted of NPY interneurons, the researchers discovered that the NPY neurons seem to selectively inhibit or gate light touch signals coming from hairy skin, but not the non-hairy (glabrous) skin, such as the skin found on your palm. “That means there’s probably two different spinal touch sensory circuits, one for the glabrous skin and one for the hairy skin,” Bourane says. 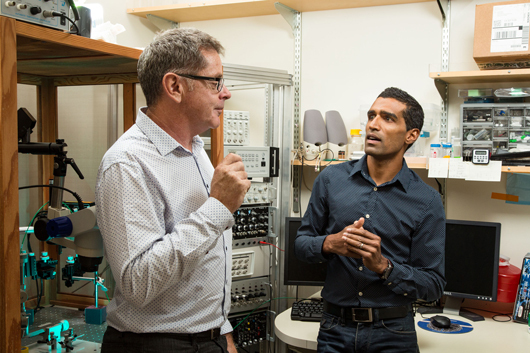 A Cell study published by Goulding’s group earlier this year identified another player in the light-touch circuit: RORα neurons. The scientists are pursuing additional studies to map the entire chain of neurons that activate scratching in response to light touch–something that has been overlooked in the field of chronic itch until now, the team says. “In the future, maybe we can specifically manipulate or modify the activity of these neurons to help people with chronic itch,” Bourane adds. Other authors on the study include co-lead author Bo Duan and co-corresponding author Qiufu Ma of the Dana-Farber Cancer Institute and Harvard Medical School; Stephanie Koch, Antoine Dalet, Olivier Britz and Lidia Garcia-Campmany of the Salk Institute; Euiseok Kim and Anirvan Ghosh of the University of California, San Diego; and Longzhen Cheng of the Dana-Farber Cancer Institute and Fudan University. The research was supported by grants from the National Institutes of Health, the Caterina Foundation and the Gatsby Charitable Foundation. The Salk Institute for Biological Studies is one of the world’s preeminent basic research institutions, where internationally renowned faculty probes fundamental life science questions in a unique, collaborative and creative environment. Focused both on discovery and on mentoring future generations of researchers, Salk scientists make groundbreaking contributions to our understanding of cancer, aging, Alzheimer’s, diabetes and infectious diseases by studying neuroscience, genetics, cell and plant biology and related disciplines.